What are Canadian Mining Stocks? 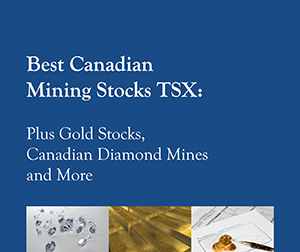 Canadian mining stocks are stocks of mining companies that are based in Canada. These are Canadian miners that explore for, develop and mine many different minerals including gold and silver. Typically, most of their operations are in Canada. These Canadian mining stocks have a key advantage over other mining stocks. Canada is rich in minerals, but it’s also very politically stable and safe to operate in, compared to some other less developed countries. The group of Canadian mining stocks can generally be broken up into two categories, majors and juniors. Majors are mining companies that have been in the mining business for many years and more often than not they operate on a global scale. Majors have proven methods for exploration and mining, and have consistent output year over year. Canadian junior mining stocks are mining companies that are new or have generally been in business for a decade or less. They are usually smaller companies and take on risky mining exploration. If a junior mining stock is successful at finding and mining minerals, it can mean huge returns for investors. Cameco Corp., symbol CCO on Toronto, has launched a hostile takeover bid for Hathor Exploration (symbol HAT on Toronto). Cameco is offering $520 million, or $3.75 a share, for this uranium exploration company. All resource stocks are subject to the risk that comes with the rise and fall of commodity prices. But, depending on where they do business, some also face a second challenge: political risk. Sherritt International Corp., symbol S on Toronto, is a diversified natural-resource company that produces nickel, cobalt, thermal coal, oil and gas. It also licenses its own mining technologies to other metals companies, and manages 376 megawatts of power-generation capacity in Cuba.